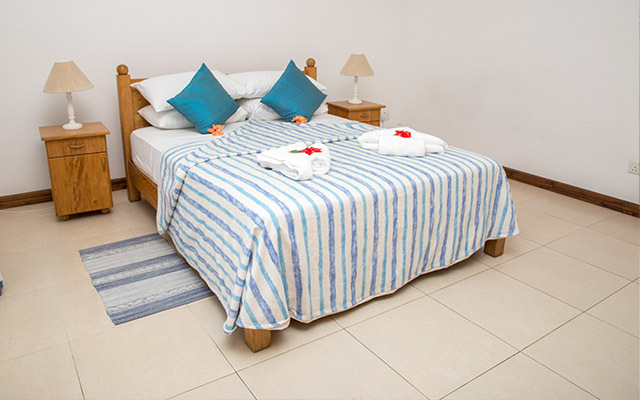 Looking for Self-Catering Accommodation in Seychelles? We stayed 6 nights in Marie Laure Suites. The rooms are very clean, comfortable and new. It is situated very good in the proximity of Beau Vallon, with enough restaurants. Le Corsaire is very good! The pool is good. 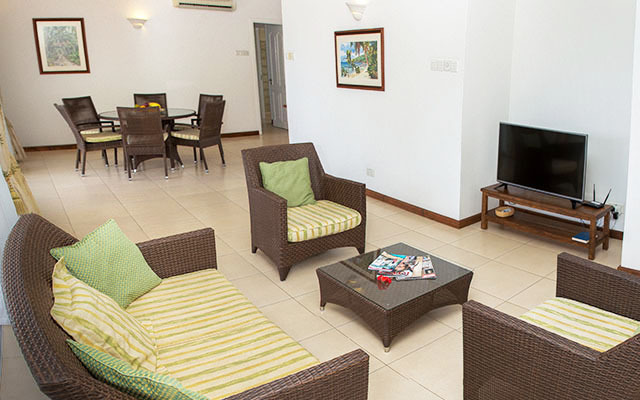 Most important; it's a small, intimate self-catering complex that is very spacious, inside and outside the apartments. The managers are very willing to help you with any kind of requests. We stayed 4 days it was clean comfortable and the managers couldn't do enough to make us at home. It's a wonderful base if you fancy hiking in the Morne National Park, very beautiful forest and cliff walks. Just down the road is a night club and Beau Vallon a short walk is a good beach and buzzing at weekends. We were very pleased to find this wonderful gem of a place. This place is brand new and located just down the street from Beau Vallon, the suites were fantastically clean, tastefully furnished, and very spacious. It had internet in the rooms which we found rare in the Seychelles unless you went to the high-end hotels. I stayed for 4 nights at the Marie Laure and can really recommend it! Jack and his team are very friendly, flexible and helpful. This was the best B&B during my two weeks in the Seychelles. The small breakfast buffet is nice, my two dinners were lovely and the room is comfy and clean. Also, ideal distance to the smaller, quiet beach which is fantastic. I'd definitely come back! Jack is an excellent host and runs a first class B&B operation. Clean, friendly, modern and well furnished. Excellent WiFi made it an idea location for my business trip as did the quiet atmosphere and wonderful mountain views. Although not on the beach the sea is only a few minutes walk away and can be reached through the Fisherman's Cove Hotel. Highly recommended. We stayed for two weeks. From airport pick up to departing Mahe our stay was a dream. Jack and Vanessa were the perfect hosts and could not do enough to make our stay an absolute pleasure. 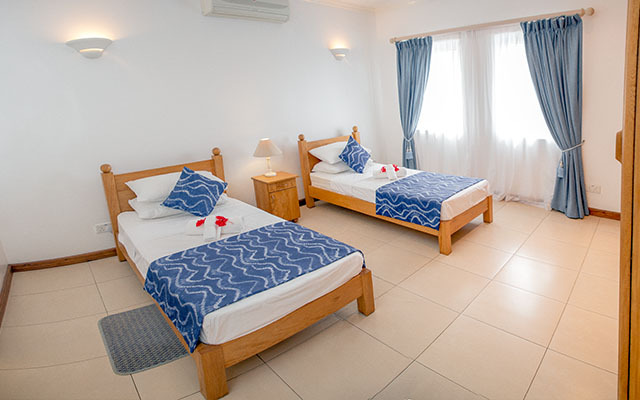 The rooms are very spacious and clean and the atmosphere is friendly and hospitable. Location is perfect with the beach a couple of minutes walk away and a convenience store a few minutes walk up the road, it is also very accessible to Beau Vallon beach which is a wonderful place to chill out. Happy to recommend this place to anyone. Thanks Jack and Vanessa for making our stay memorable. I can't recommend this beautiful place enough! We are a family of 7, we occupied 2 of the wonderful apartments at Marie Laure. One of which had a veranda which opened out on to pool side. The other was on the top floor and overlooked the beautiful coast line as well as a great view of the mountains. 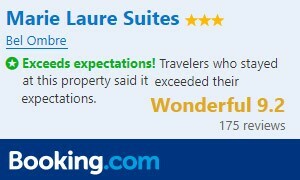 It is with great pleasure that I comment on my recent stay at Marie Laure. The managers and staff were very friendly, approachable and welcoming, they are a excellent team and deserve great recognition for their excellent customer service skills. Great value for money: you get a private villa type of life, super quiet, with a pool, a bus to go downtown within 15 minutes and the Meridien 5 minutes walk away where you can have dinners or drinks. 2 minutes walk away there is also a fantastic little beach which is a lot less crowded than the others, but you can also walk to Beau Vallon from Marie-Laure Suites. The rooms are very clean, there is 24/7 surveillance and a/c + fans installed. The wi-fi speed is good and the couple running the place, absolutely adorable and available. Jack and Maya really know how to take care of people. This is possibly the best value in the Seychelles. The rooms are spacious and well appointed. They are a 15 minute walk to Beau Vallon Beach, one of the best beaches in the world. 5 minute walk to a little store for beer and snacks. In walking distance of some very good restaurants. The managers are a wealth of information and will help you in every way possible. 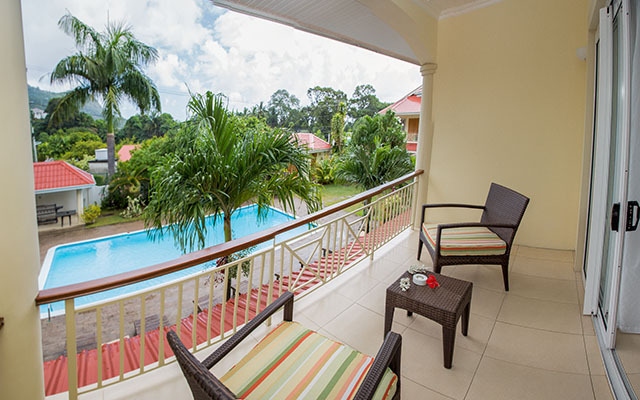 Looking for great accommodation in Seychelles? 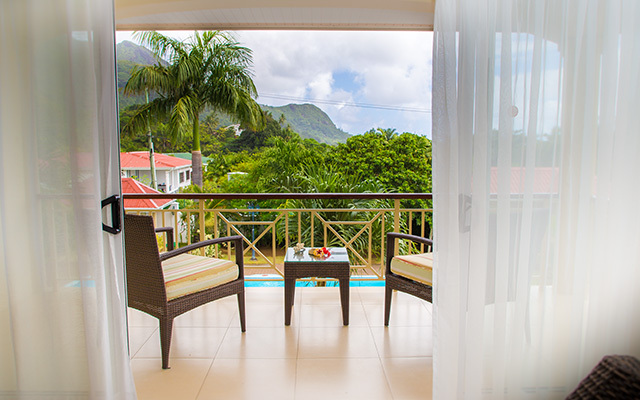 With a great location on Mahé Island - close to shops, restaurants, beaches, hikes and of course, the world famous Beau Vallon Beach - Marie Laure Suites offers both Self-Catering Apartments and Bed & Breakfast Rooms set in beautiful grounds just a stones throw away from the sea. 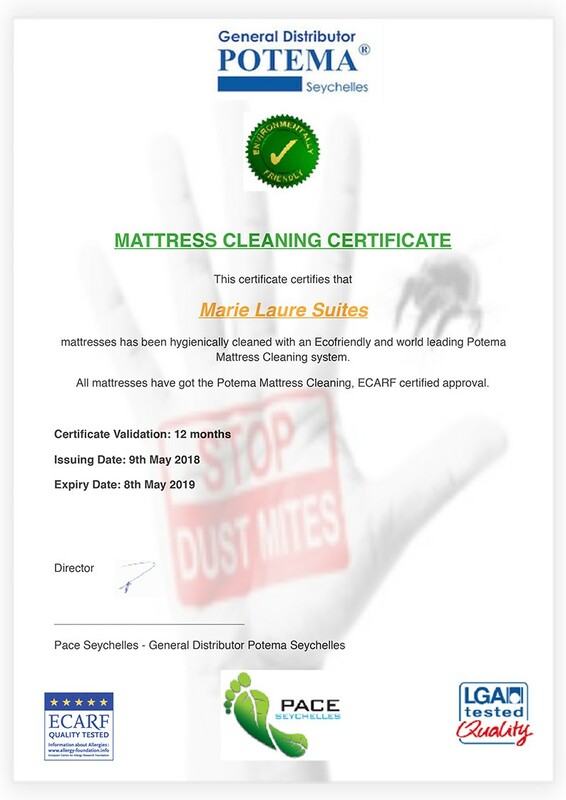 Copyright © 2019 Marie Laure Suites | Another Great Website by EMPIRE | WEB, an NGMC Seychelles Co..